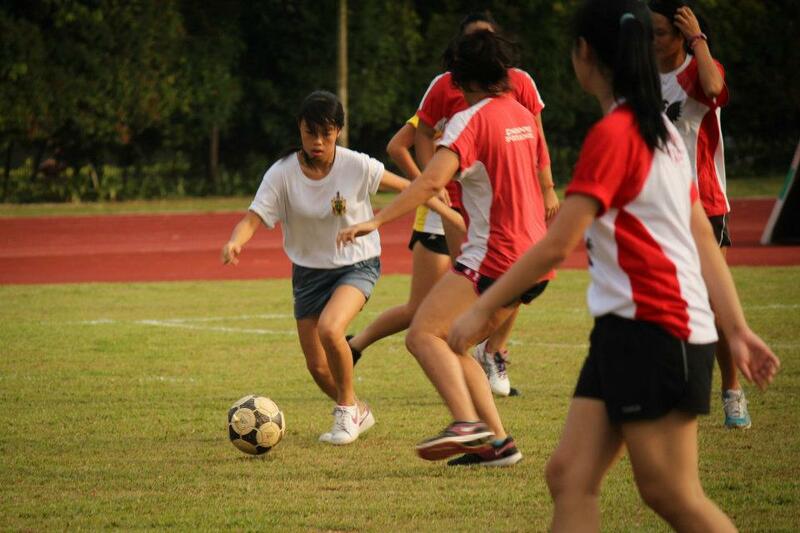 IHC Day 4 kicked off with a line-up of only one event: Girls’ Soccer. 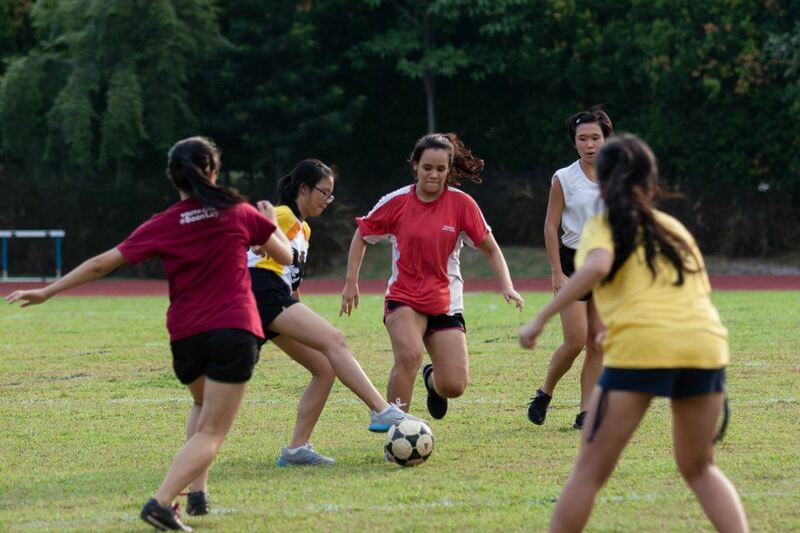 This ensured that the attention of all the supporters would be centred on the main field as the girls from each house battled it out to prove that girls too can play soccer. Apprehensive looks were on the faces of most participants during the briefing, as their soccer experience was largely limited to attempts at kicking the soccer ball during PE lessons. 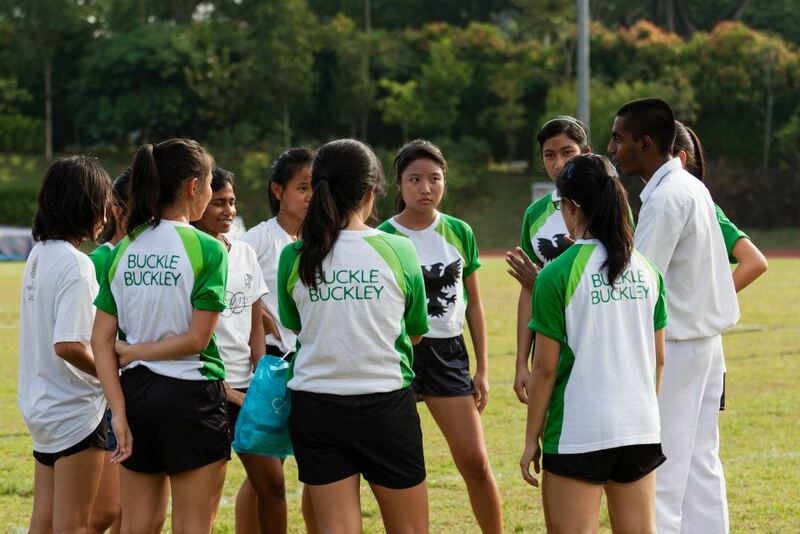 However, when the whistle blew for the matches to begin, all thoughts of nervousness and apprehension were forgotten as the girls gave their all to earn invaluable points for their house. The matches were contested in a round-robin manner, before the top 2 houses would go on to compete in the final match. 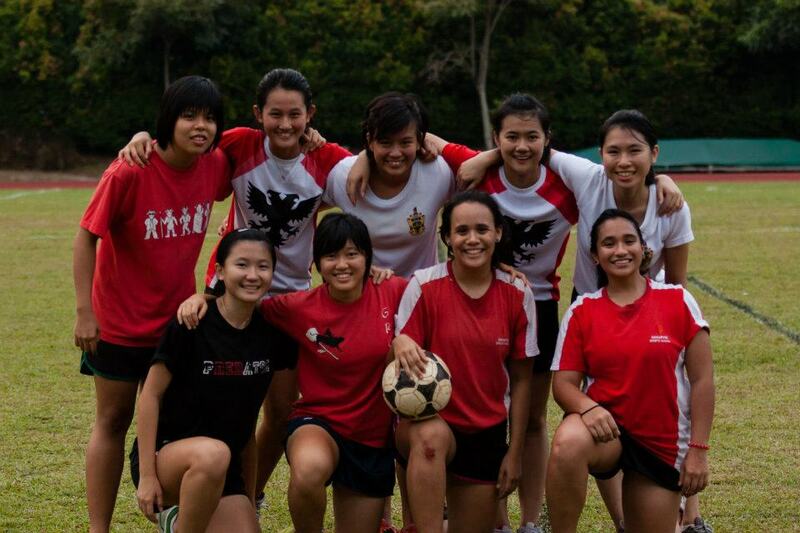 Sweat dripped and blood was spilt as the girls lunged, ran and fought for every ball in the name of house spirit. Balls flew in all directions as both shots at goal and last-minute clearances were made, and goal attempts were saved. 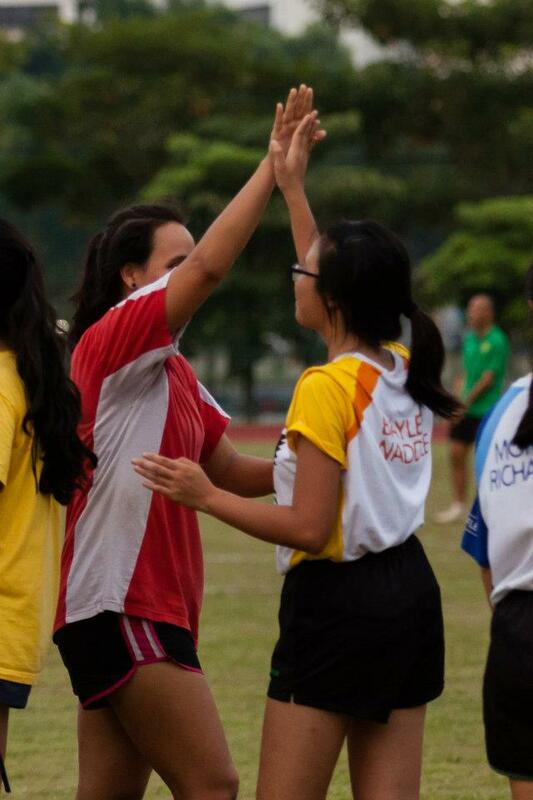 In most of the matches, the brave goal keepers like Rachel Tay of MR and Nicole Heng of MT proved to be the most valuable players of their teams as they kept out numerous shots, sometimes even diving to the ground in an attempt to protect their goals. MR’s Renisha in a one-on-one face-off with Ida of BW. 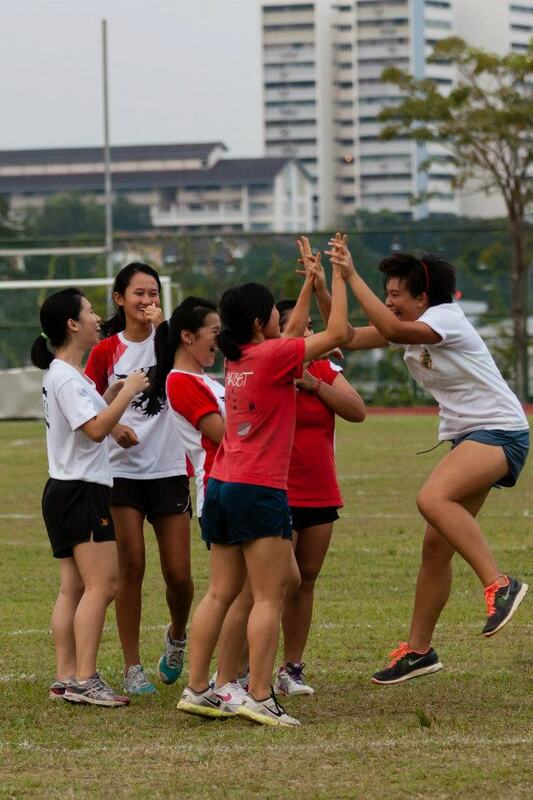 After a series of tough round-robin matches, BW and MT emerged as the 2 teams that would contest the final. 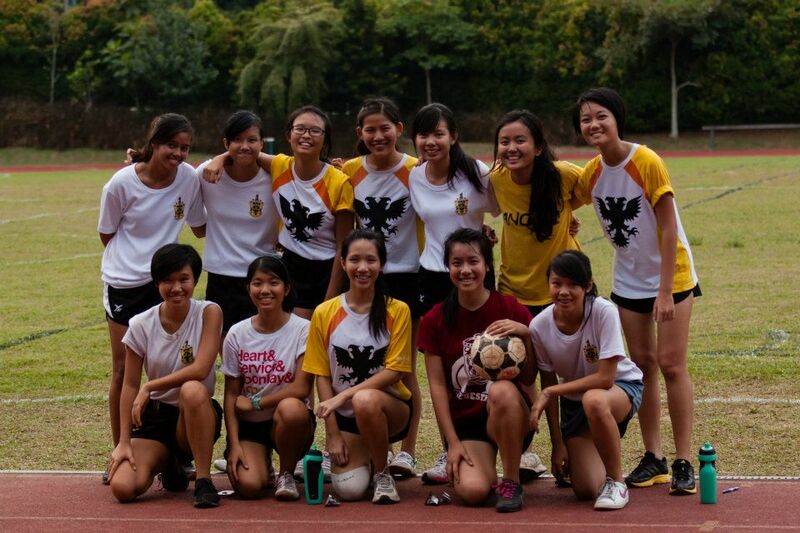 MT were the overwhelming favourites as they had not lost a single game during their round-robin matches, often scoring numerous goals in the process of defeating their opponents. The final matched kicked off, the field surrounded with supporters of both houses. BW were forced to defend with all their might as MT’s attacking duo of Tasneem and Amelia were in top form, often breaking past the BW defence only to find their shots blocked by Ida, BW’s goalkeeper. Due to a combination of luck as well as some marvellous defending on BW’s part, BW managed to keep out all of MT’s attempts at goal, even going on the counter-attack at some points in the match. However, just like the boys’ match last week, the match ended 0-0 and proceeded into extra time. During extra time, both teams tried their hardest to break each other’s defences and get onto the scoreboard in order to gain the upper hand. Tasneem and Amelia once again threatened the BW defence numerous times, only to have their shots miss the goal mouth by a hair’s breadth. Crystal, BW’s striker, also proved to be equally unlucky as her shots at goal were comfortably saved by Nicole, MT’s goalkeeper. 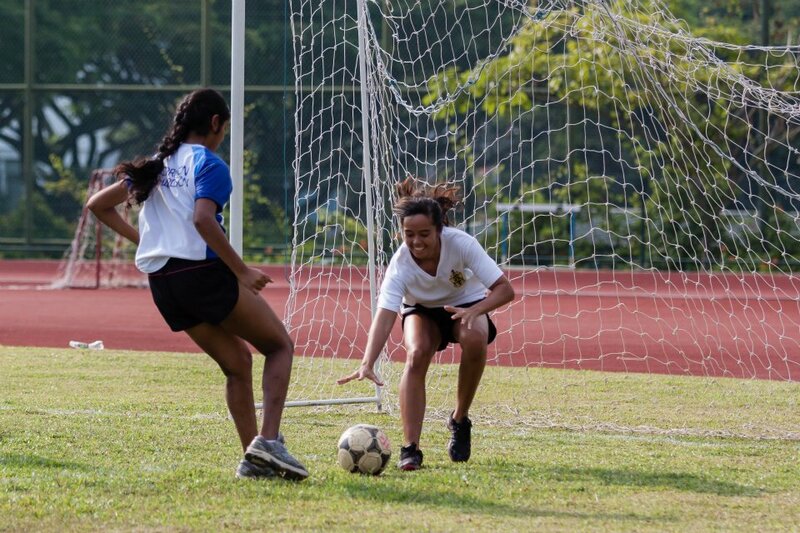 As the whistle to signal the end of extra time was blown, both teams prepared themselves to take the penalties that would decide who was to be the champion house. Remember Shaun Sia using the force-field to keep out a shot during handball? Well, Ida proves that girls too can use the force-field! Each team had to take a mandatory 3 penalties, and if the results were still inconclusive the game would then move to sudden death. Huifen, MT’s first penalty taker, took a shot that rebounded off the inside of the post and onto Ida’s face before crossing the goal-line, ensuring that the game was not without any drama as people rushed to check that her nose was still intact. The score was 1-0 to MT as Shayna stepped up to take BW’s first penalty. Nerves evidently got the better of her as she blasted the ball straight into the waiting arms of MT’s keeper. 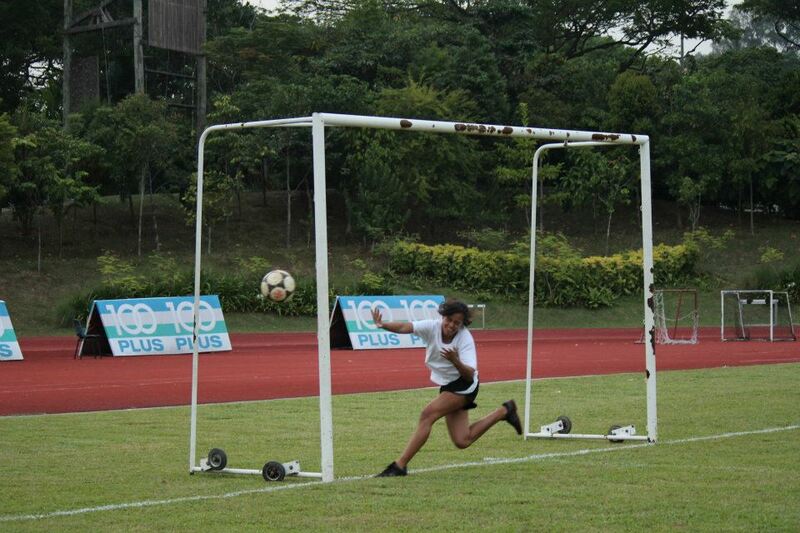 Tasneem doubled MT’s lead with a powerful shot that Ida stood no chance of defending. 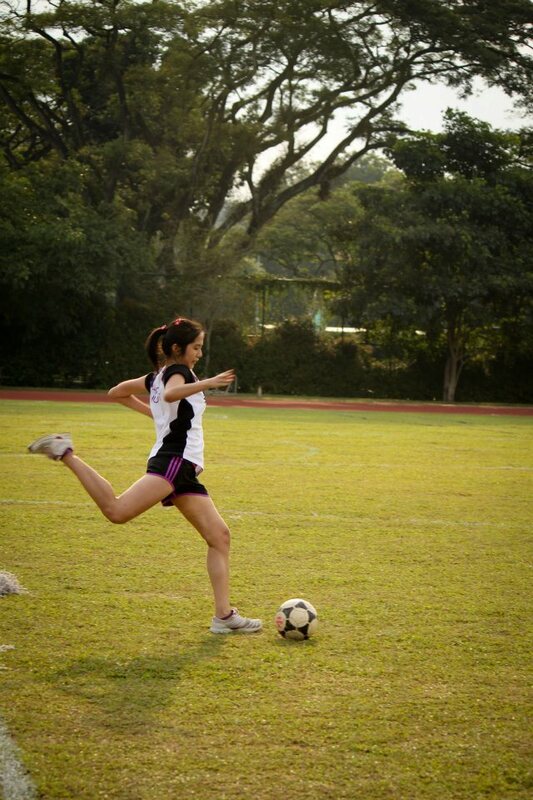 Linh took BW’s second shot with a unstoppable shot to the top corner of the goal. With the score 2-1 to MT as Amelia stepped up to take MT’s 3rd and final penalty, MT would be the winners if she scored. And fortunately for MT (unfortunately for BW), she did not disappoint, blasting home a shot that left some boys at the pitch awestruck. MT players jumped on each other in ecstasy and happiness, celebrating their deserved win as they had been the outstanding side throughout the entire tournament. Each and every player deserved praise as they fought hard and played well for their house. Relationships in RI: the second instalment of Please Mind the Platform Gap, a series for Year 4 RI and RGS students brings you the truth on the dating scene in JC!